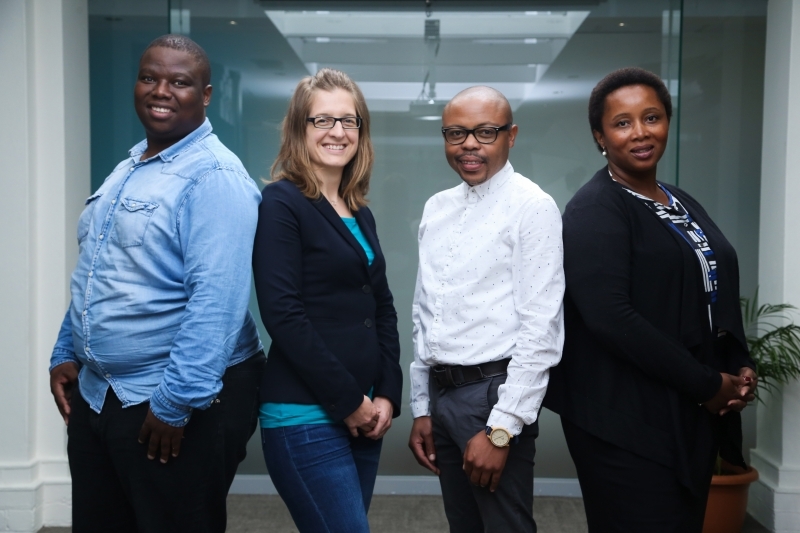 The Alumni Relations unit at the University of Cape Town aims to grow and diversify the network of engaged alumni around the world as well as to harness the significant goodwill that exists for UCT, both locally and abroad. We achieve this through targeted initiatives designed to engage current students and former graduates of the University of Cape Town. Alumni contact sessions provide an opportunity to highlight priority projects that require individual and collective support. Our Alumni Student Association works to prepare current UCT students for the role they will play as future UCT alumni. We make a concerted effort to attract young alumni in order to encourage their active participation in shaping the future of the university. One of our initiatives is the Distinguished Alumni Speaker Series. Through this series we work with prominent alumni to promote UCT as an academic destination of choice. The talk series allows us to profile the calibre of our graduates as well as the distinctiveness of scholarship in Africa whilst engaging audiences of alumni on a range of societal issues that resonate with them. Of the 162 000 UCT alumni from around the world, approximately 85% reside on the African continent. This platform is thus a priority for the Alumni Relations department. Without an active, coordinated and engaged alumni network, it would be difficult for the institution to position itself and raise funds effectively. 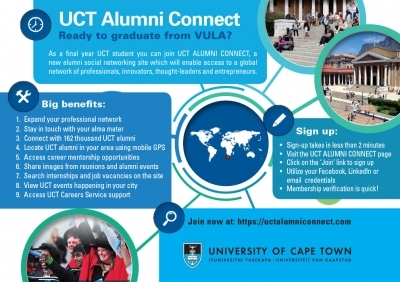 We invite you to become an active member of the UCT Alumni community.